If you're considering adopting a rescued Labrador Retriever, you must first complete an application through Seattle Purebred Dog Rescue. For information about how to complete and submit the SPDR Adoption Application, please visit the SPDR's website at SPDR Adoption Application. PSLRA has a very active Rescue Program. Each year the club sets new records in the number of dogs it rescues from shelters and homes that put their dogs up for adoption. 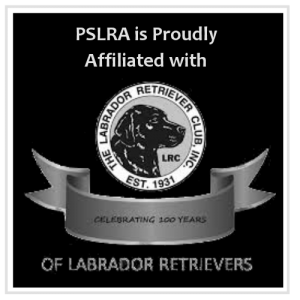 Annually, approximately 300 Labrador Retrievers were rescued through PSLRA efforts. 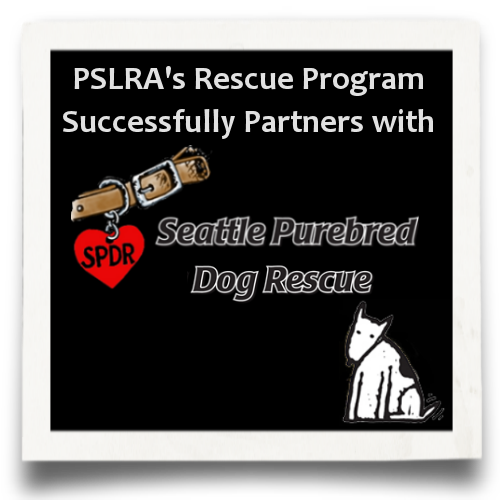 PSLRA works very closely with Seattle Purebred Dog Rescue (SPDR), a non-profit all-breed rescue organization, that seeks to place homeless purebred dogs. Our rescue program has from the very beginning been affiliated with Seattle Purebred Dog Rescue. This provides PSLRA with liability insurance and many support services. Labradors come in to the Rescue program in two ways. Stray Labradors who have been turned into Puget Sound area shelters are held by animal control for three days, not counting the day of impound or any days the shelter is closed. If not claimed by their owners, the dogs are then made available for adoption. At this point, we can refer potential adopters, (from our list of approved SPDR applications), directly to the shelter to adopt the dog. If a purebred Labrador is not placed directly from the shelter, we can rescue the dog and put him/her in one of our foster homes while we look for a new home. Usually, younger Labradors are adopted right from the shelter, and the ones in need of foster care are older dogs. Owners who want to release their Labrador for adoption can “list” the dog through Seattle Purebred Dog Rescue. We then try to match the Labrador with one of the families from our waiting list. Families wanting to adopt a rescued Labrador must fill out an adoption application with Seattle Purebred Dog Rescue. Contact SPDR by phone at 206.654.1117, or by visiting their website at www.spdrdogs.org. 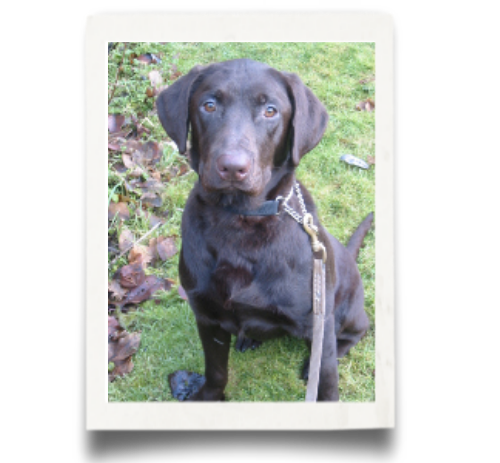 Because of the high number of purebred Labradors in need of rescue in our area each year, and because we are affiliated with Seattle Purebred Dog Rescue, we have limited our Rescue program to the Puget Sound area. However, we welcome PSLRA members who live outside of the Puget Sound area to apply to the Rescue program for financial support for their individual rescue efforts. 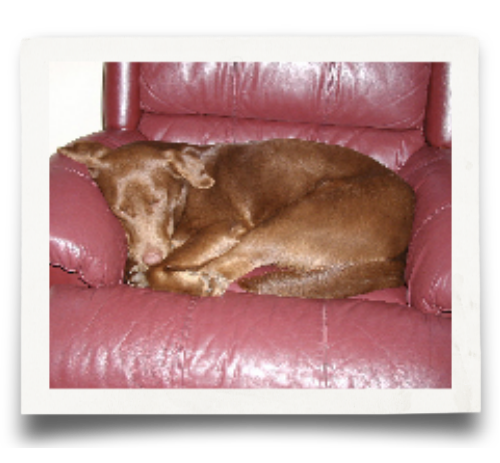 Way back in 1991 a Labrador, subsequently named “Bones”, was rescued from the Kent Shelter and the PSLRA Rescue Program was born! Mary Jane Sarbaugh, with Jill Mahoney checking the Kent shelter for Labs in need, oversaw the rescue of as many Labs as possible that first year, fostering many of them herself. In those days, every Labrador rescued from the shelter was a major victory! From these modest beginning, the rescue program took off in a hurry! At that time, few Labs were being rescued from the area shelters, even healthy, adoptable Labs were routinely euthanized. Once our rescue program got into full swing, that grim situation was radically altered. By 1994, working closely with Seattle Purebred Dog Rescue, and with the cooperation of the area shelters, 210 shelter Labs had found new homes and only 25 were euthanized. In 1995, 260 Labs survived their stay in a shelter, and only 12 were euthanized, all due to poor health or serious injuries. Although during these, and the following years, about half of the rescued Labs went directly to new homes from the shelters. Often, with adopters that our rescue program referred to a particular dog. Even so, we still had a huge number of dogs in need of foster care. This put a great burden on our foster home system, with many foster homes welcoming rescued Labradors with scarcely a break. We were becoming overwhelmed by our own success! By 1998, it became clear that the rescue program had grown beyond the abilities of one Chairperson to handle. We reorganized as the current Rescue Committee, to spread the work of rescue across many more hands. At about the same time, we started to see a welcome trend: our statistics started to show fewer shelter Labs in need of rescue, relieving some of the burden on our foster homes. This trend has continued, we are happy to say, with the total number of Labs reported in the area shelters falling from 271 in 1998 to just 112 in 2003. We think that part of this drop is due to the public education efforts of both PSLRA and SPDR. There has been a corresponding annual increase in the number of owner Labradors “listed” with us through SPDR. We have helped many owners find new homes for their Labs in this way, keeping the dogs out of a shelter situation. In recent years, most of the Labradors placed through our rescue program, in addition to owner listed dogs, have been older (7+ years). As well as, special needs placements, such as separation anxiety, (often seen in rescued dogs), and dogs who have come into shelters with serious injuries. We are grateful to LABMED and Labrador Life Line for providing supplemental funding for those Labradors in need of emergency medical treatment, while our rescue program was getting started. Due to the astounding success of PSLRA in raising funds for rescue, in recent years we have not needed to call on these organizations for help. In fact, we’re able to provide some financial support to LABMED when their applications for assistance became overwhelming. Some of our rescue funds also went to help a Labrador Club on the East coast, when their rescue program suddenly needed to take in dozens of Labradors from a puppy mill closure. 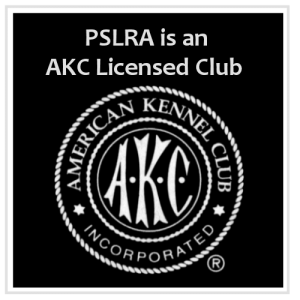 PSLRA is one of the few Breed Clubs in this area who wholeheartedly supports a Rescue Program. We often help as a model for what CAN be done with a rescue program that is underwritten by a Breed Club. Supporting our Rescue Program financially by buying raffle tickets and making donations is not the only way Club members can support our rescue efforts. We need every Club member to continue to educate puppy buyers about responsible pet ownership. Every pet puppy sold with a spay/neuter contract helps to prevent any careless breeding of future generations. Club members can also help with educating the general public about responsible breeding practices. Please continue to take the time to explain, whenever possible, why it is not a good idea to let a pet Lab have “just one litter”. Or, why both male and female pet Labradors will be happier and healthier if neutered or spayed. Working together, we can help to see that our rescue statistics continue their healthy decline in the years to come! 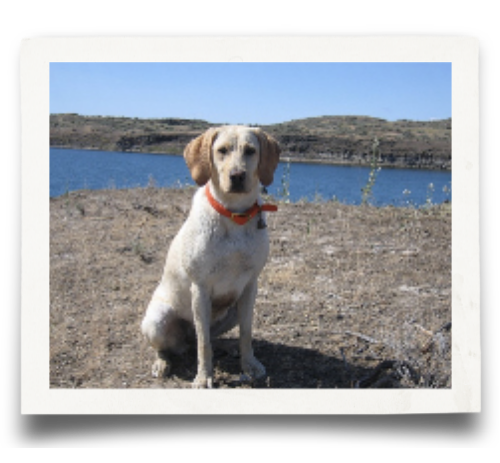 Each of our rescue Labrador Retrievers has a story, some are more challenging to tell than others. Here are a few Labradors who have overcome adversity to find forever homes with loving caretakers. We very much appreciate concern received regarding purebred Labrador Retrievers in need of rescue. The best way to help is to contact our Labrador Rescue Chair Person or a PSLRA Board Member if you hear of a Labrador Retriever that needs help. By working together, truly amazing things can happen on behalf Labradors in need. Sadie was cooped up in an apartment and had a lot of energy. She now has a home with a family who understands her zest for life! Lucy has found a home where she has enough space where she can run and play all day. Chili was un-socialized and shy. She has found a comfortable place to come out of her shell, and has blossomed into a friendly, well loved pet.